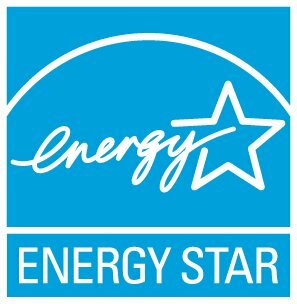 Yes, ductless split-system air conditioners and heat pumps can qualify under the ENERGY STAR Central Air Conditioning (CAC) and Heat Pump specifications. Ductless split-system air conditioners and heat pumps, sometimes call mini-splits, are air conditioners or heat pumps that do not use ductwork for air distribution. Mini-splits are different than regular split-systems. They are used mostly for smaller area cooling. Some of these systems are capable of connecting to 2, 3 or even 4 indoor units to act as a single system. Mini-split systems are very common in Europe and Asia but are less than 5% of the US market. a hand-held wireless remote or wall monitor which controls the entire system. A list of ENERGY STAR certified central air conditioners and heat pumps can be found in the Consortium for Energy Efficiency (CEE) and the Air-Conditioning and Refrigeration Institute (ARI) database. All equipment listed in this online database meets the specification requirements for ENERGY STAR. Mini-splits are held to the same ENERGY STAR specification as traditional HVAC equipment. This online database is solely maintained and operated by CEE and AHRI. To find a list of ENERGY STAR certified mini-splits choose the "Variable Mini-Split and Multi-Split Heat Pumps" or "Variable Mini-Split and Multi-Split Air Conditioners". Remember, if you are modifying or replacing your heating and cooling system, your choice of contractor can be very important to the energy use of your new system, once installed. Here are some tips on choosing a contractor.